Gawcott is a village southwest of Buckingham, well known for being the birthplace of architect Sir George Gilbert Scott. Within Gawcott lies a double fronted red brick Victorian built home. This country detached home had already undergone an extensive modernisation program and the client was looking for further living accommodation to suit contemporary family life. 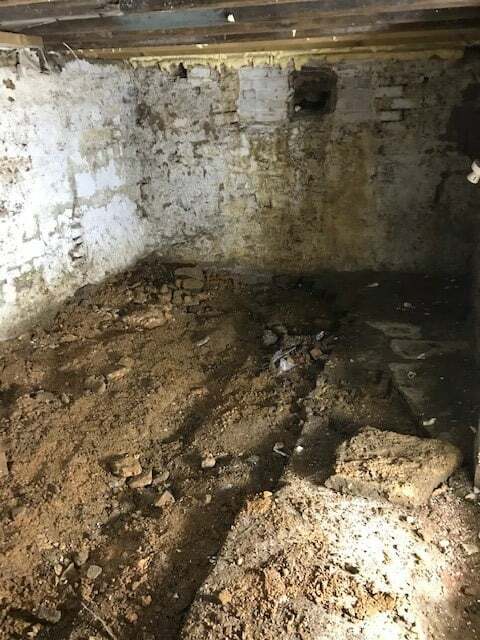 Within the basement, there were two main areas of concern, the floor-to-ceiling height of the current basement was only 1.7 m and secondly, there were many embedded timbers within the walls of the basement. If these were to become wet it would leave them vulnerable to an outbreak of dry rot. 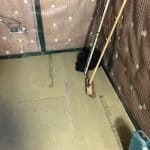 Timberwise Waterproofing Design Specialists also had to consider the high water table that the property sat upon, as well as very soft and permeable ground surrounding the basement. This combination was leading to an adverse amount of water tracking through into the basement area. 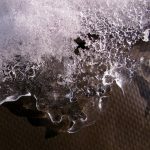 What is a Waterproofing Design Specialist? 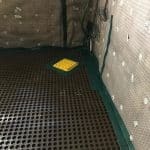 Timberwie recommended and designed the waterproofing system specifying the use of a cavity drain membrane (Type C) system. This is designed to achieve a dry habitable living space, defined as a Grade 3 environment under BS8102:2009. 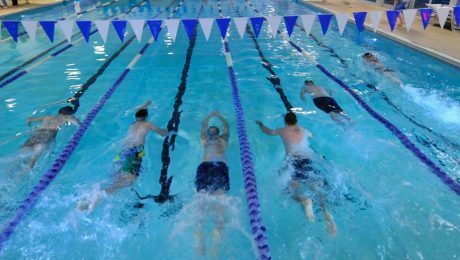 The method relies on managing the ingress of water rather than preventing it. 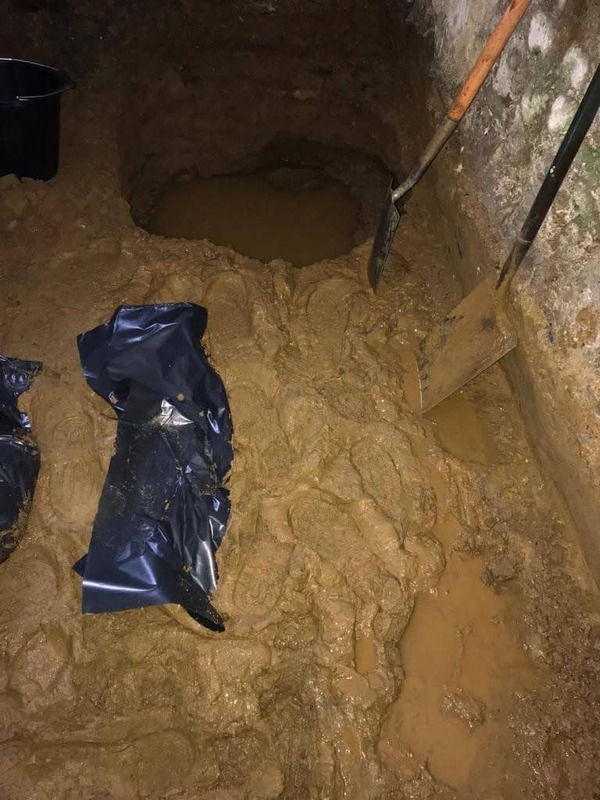 This meant that water pressure is equalised, in that water is allowed to flow and is routed to a drain facility to be pumped out of the property. 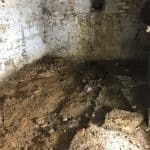 Timberwise’s specification included a dig out of the existing basement floor by approximately 150 mm, as well as removing all of the current integral wall timbers and replacing them with masonry solutions. 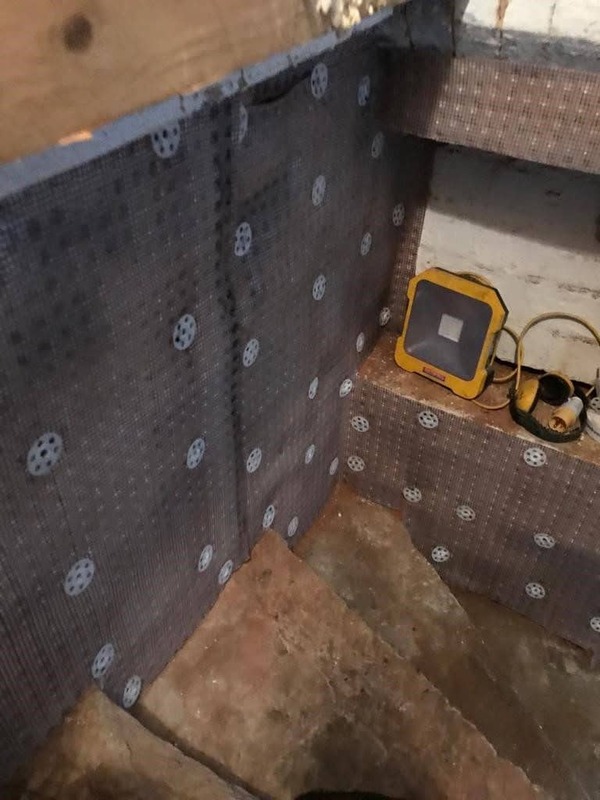 This was to guarantee that they could not be any further degradation of the area or to repeat a severe dry rot outbreak once the basement has been fully lined and sealed with a cavity membrane system. Given the high water table and very soft permeable ground, Timberwise had to ensure that the design, and drainage sump and pump could cope with the highest potential volume of water, given the worst case scenario in the most extreme weathers. 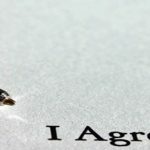 There were certain preparatory works required and the customer chose to undertake these themselves prior to Timberwise Technicians attending site and undertaking the installation works. This previously dingy and characterless basement has been transformed into further living space. 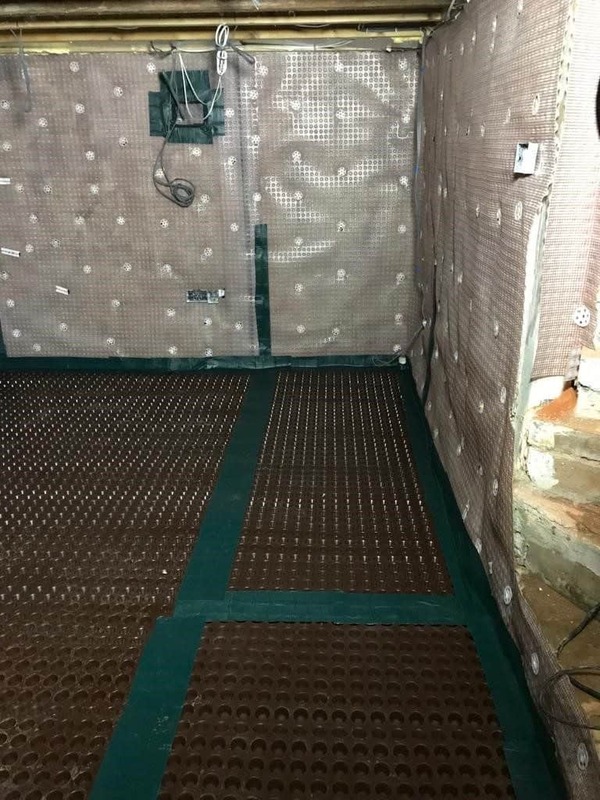 Our customer knew their basement waterproofing project must be undertaken by professionals in a careful, planned and effective manner if they were to achieve their desired results. 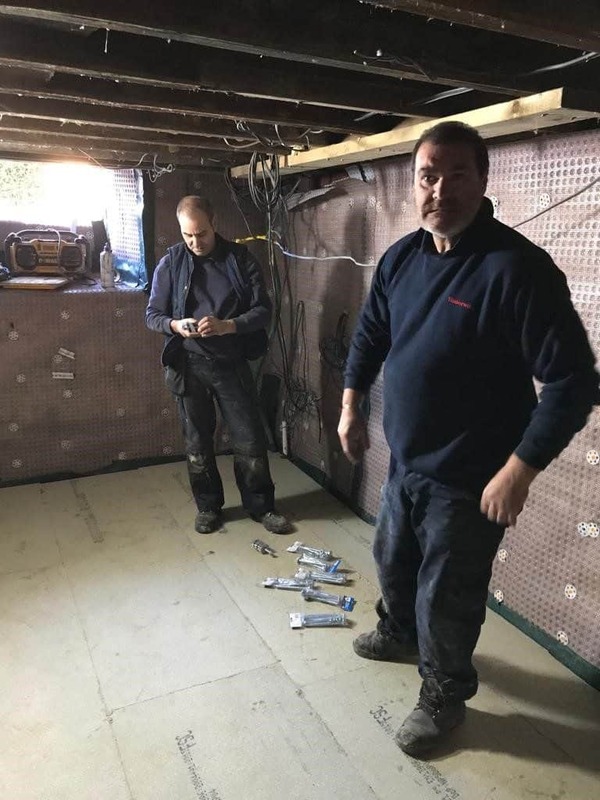 These included removal of all pipework and electrics from the walls, the supply and installation of a fused spur for hardwiring the sump and pump installation, all necessary first fix electrics, and the installation of a new window at the very top of the basement void. 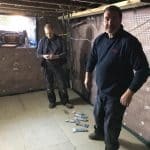 Ultimately once the floor level had been reduced and the head height increased and all other preparatory works had been completed, we were able to fully line the walls and floor with cavity drain membrane. Further, the steps leading down to the basement and were also membraned. 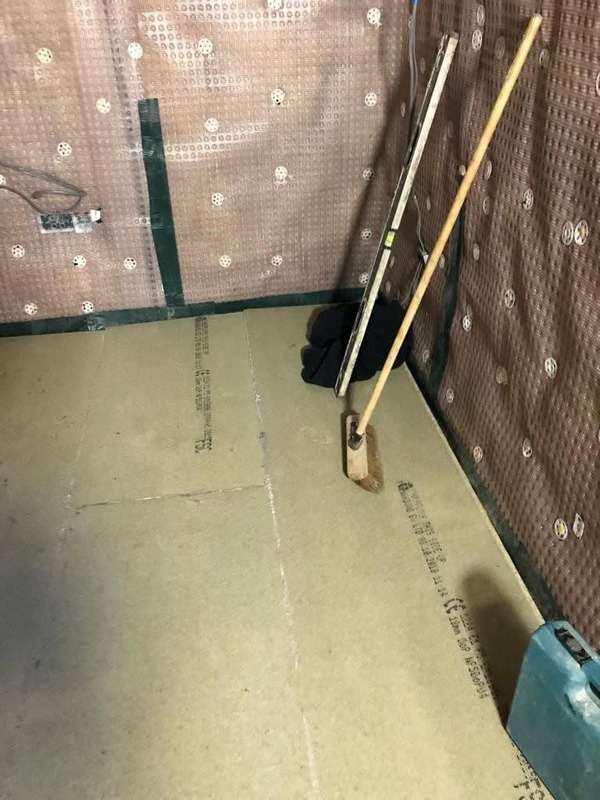 The cavity drain membrane is impermeable high-density Polyethylene or Polypropylene Membrane with studs to form a cavity when fixed to the wall and floor. 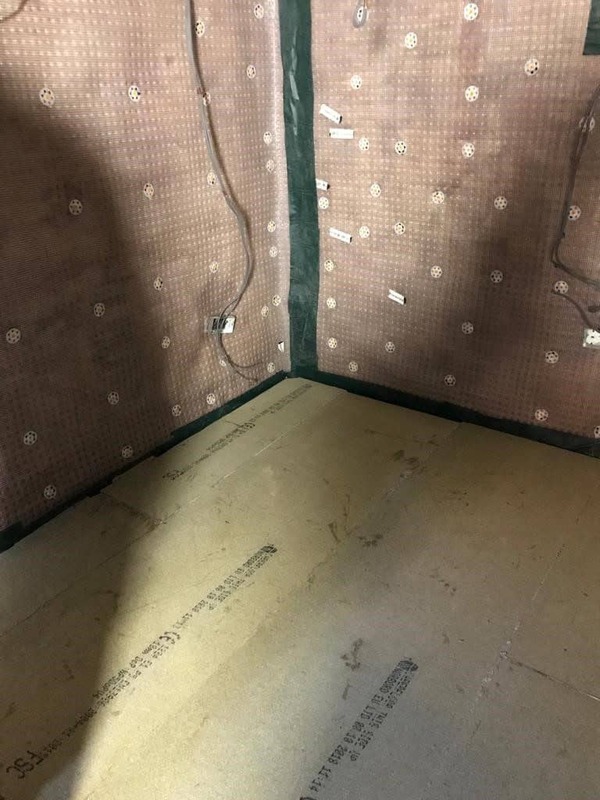 Cavity drain membrane fixings that are used in conjunction with cavity drainage membrane, prevents pressure from building up against the internal wall structure. The air gap behind the membrane allows the structure to breathe and to some extent allows the structure to dry out. 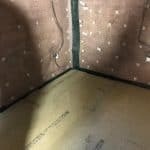 The drainage of water away from the cavity drain membrane is vitally important to the ultimate success of the waterproofing system. Timberwise also installed new subfloor perimeter drainage channels and a sump and pump system. 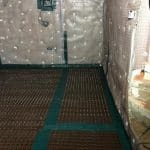 The drainage system is installed around the perimeter of the basement walls at this wall/floor junction. This provides a channel to collect and direct water to the pump or exit point. 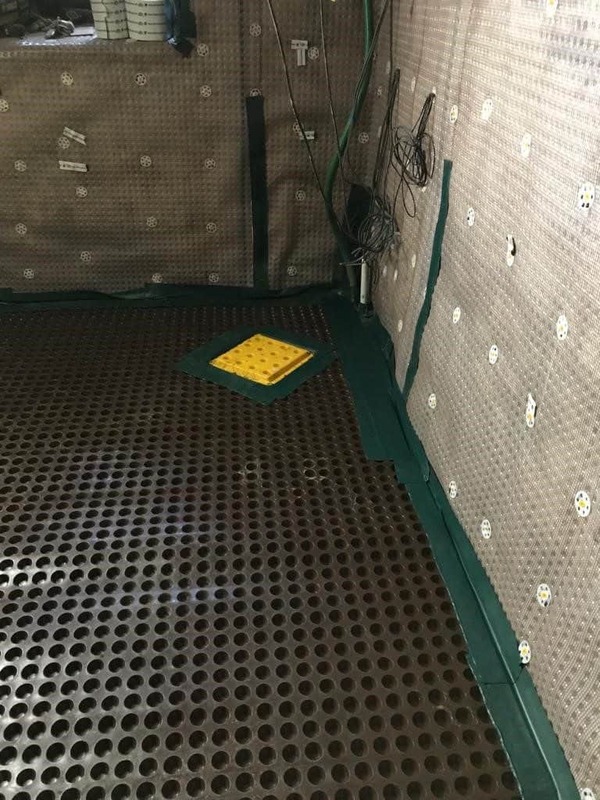 The sump chamber and pumping system are permanently formed and were fixed within the floor slab in a location where it is readily accessible for inspection and maintenance. It should also be mentioned that due to the extreme level of anticipated water we installed a dual pump system in case there was any failure of a pump, together with a full battery backup and alarm. This ensured the customer was fully protected but also fully aware in the event of there being any failure of the pump or electricity supply requiring the battery back up to kick in. 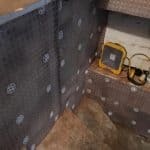 Once the installation was completed, the installed sump and pump chamber was tested with a severe flood test to ensure it could cope with high volumes of incoming water which it did admirably, thereby Timberwise ultimately created what the customer wanted, which was a totally habitable belowground space. 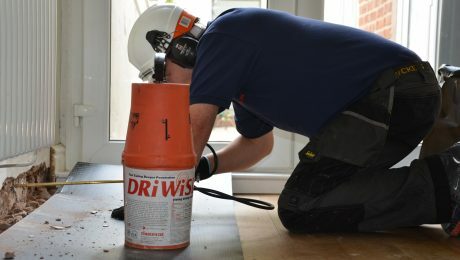 Timberwise knows it is an essential part of the whole installation, and ongoing waterproofing, process and we believe we have a duty of care to customers to do this. 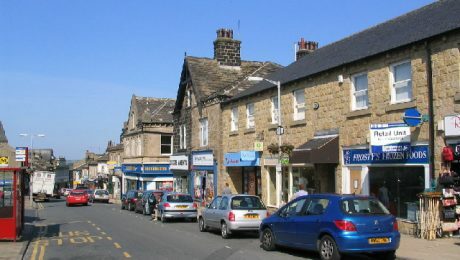 The above works were covered with a comprehensive 10-year guarantee and the customer was delighted to have a very usable additional space which was previously just an unusable void below the property. 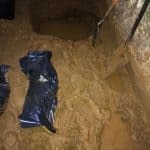 You can trust Timberwise to provide you with the right basement waterproofing systems to solve your damp basement problem. Don’t hesitate to contact Timberwise by calling on 0800 288 8660 or you can request a survey online.